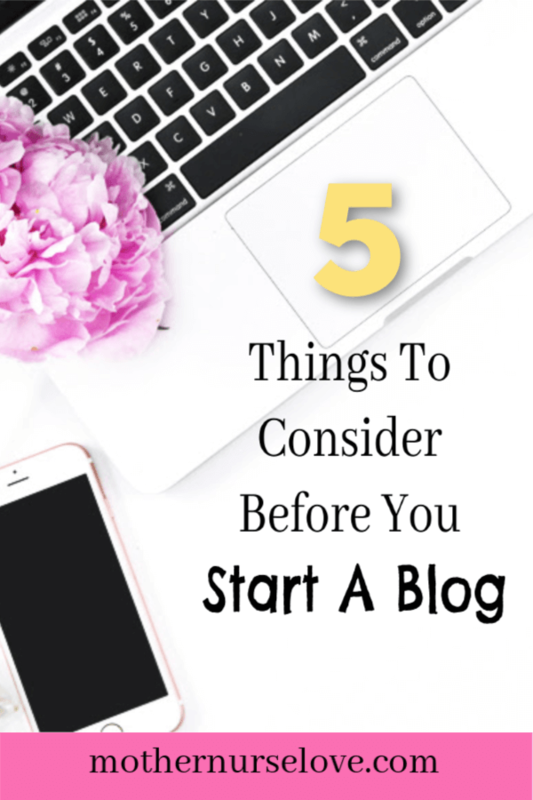 Starting a blog can be overwhelming, especially when you already work full time, are a parent to small children and have a to-do list that never seems to end. To make matters worse there is almost too much information on the internet about how to start a blog. Where do I start? Who should I trust? How do I prevent myself from becoming overwhelmed with information? And most importantly, how do I even find the time to start a blog when my schedule is already crazy busy? The thing about blogging is that it is a marathon, NOT a sprint. It is also not a get rich fast (or maybe ever) scheme. It is a TON of work. 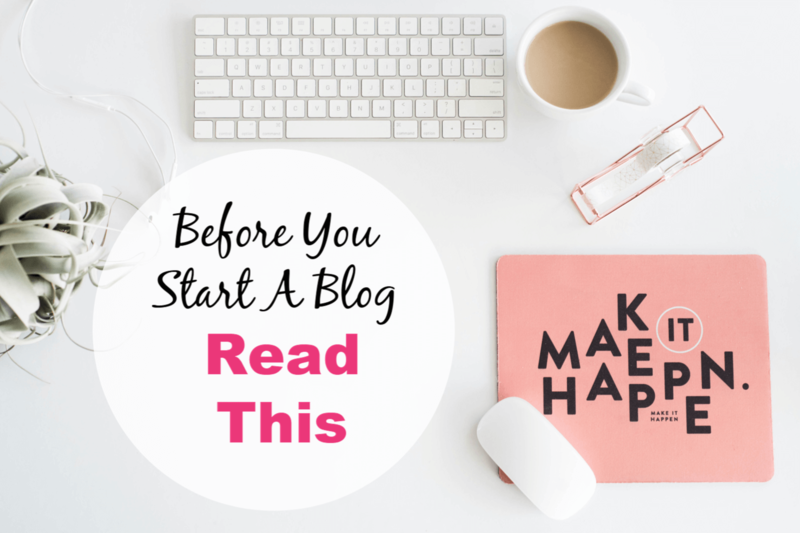 So, if you are not considering it as a long term project then quite frankly I would strongly consider whether you want to start a blog in the first place. But you are still reading this so I’m going to assume you really do want to start a blog . And I’m so glad. Because I love blogging and I love talking about blogging even more! For me, this one was easy. I am very passionate about two things: nursing and motherhood. (And, well, my husband & other loved ones too, but for the sake of having a blog, you need to find YOUR specific niche that you can passionately write about). Someone once told me this: “Before you start a blog you must find your niche. Then, take your niche and niche it down even more.” In essence, you need to get really super specific. For example, if I just called myself a “nurse blogger” that doesn’t say very much about who I am or what my niche is about (except, of course, that I am one of 2.2 million other nurses in the US). It also doesn’t tell you anything about how I might be able to add any value to a reader. It’s just too vague. 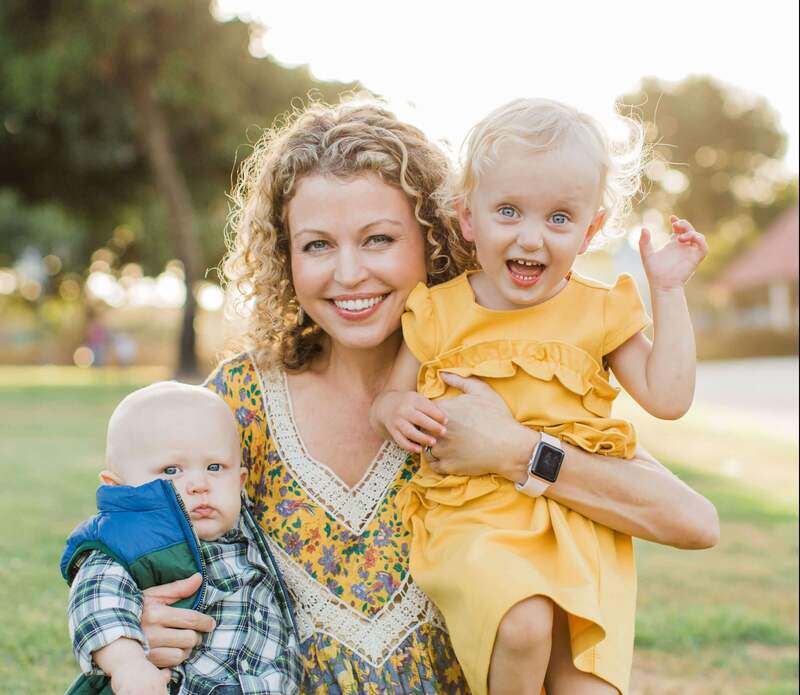 Instead I am a “nurse mom lifestyle blogger who helps other nurses take better care of themselves with an emphasis on self-care.” I like to think of myself as a nurse advocate. That sounds a little better, doesn’t it? It seems counter-intuitive that niche-ing down helps bloggers perform better but it really does. It increases your engagement with a very specific group and you have the opportunity to be an expert in a small area. You just can’t be everything to everyone, and you can’t be an expert at everything. Many bloggers want their name to reflect their niche. I’ll use myself as an example again: my blog name is Mother Nurse Love and my niche is nurse moms and self love. Pretty self explanatory. But it doesn’t have to be that way if you don’t want it to. Your name can be anything you want it to be (although it might be a little more interesting if you are able to have a little story behind it!). Your blog name is going to be with you for a long time. You will be known for it. It is difficult (but not impossible) to change it later on down the line. Just make sure your name is not offensive or is sending a message that does not reflect you well. A word of advice: I strongly suggest that you figure out what your blog name will be BEFORE setting up a WordPress blog with Bluehost. What is your end goal with your blog? Do you want a hobby blog? Or are you trying to start a side hustle/business? You don’t have to make this decision right away, but it’s something to keep in mind, especially if you are planning on growing an email list and monetizing your blog at some point. First things first though. You need to starting writing blog posts. A lot of them. And they need to be good. By now you have probably heard the phrase “content is king.” Well, frankly, it is. And if your end goal is to have a growing, thriving blog, then your writing and your voice need to be honed in nicely. After you have a functioning website up and running then it might be a good time to start expanding your reach. Pinterest will get you page views faster – but great SEO will rank you higher in Google searches and is great for the long haul. Right now I focus on both to grow my website traffic. You may not know this, but Pinterest is NOT a social media platform. Its a visual search engine. It has changed tremendously over the last year and continues to have algorithm updates almost weekly (or so it seems!) Mastering Pinterest takes a lot of work and if you want more traffic sooner then you need to invest in a course. Here is a great resource for you understand and better utilize Pinterest: a blogger colleague of mine, Megan Johnson, created Pinterest Ninja to help people increase their blog pages views by the thousands. I did the course when I was on maternity leave and have been able to increase my page views from 0 to 500-1000/day within a few months. Seriously, read some of her reviews. How much time will you be able to dedicate? Most adults have a full time job and/or kids that they need to manage before they can put work time into blogging. So as much as we intend to dive right into writing 7 posts a week, for many of us that is just not realistic. I am a mother of 2 very small children, a nurse working 12 hour shifts, a wife and a homemaker. So, like most other working women bloggers, I’m super freaking busy 99% of the time. However, through practicing hyper-vigilant time management and forgoing a little shut eye at night I am managing to squeeze 5-10 hours into my blog every week. And I am still able to produce some decent and valuable content on a fairly consistent basis. Eventually, my children with be in school and at that time I will be able to dedicate more time to content creation and website management. But for now I am still making an impact and earning a little money every day. Try making a tentative blogging schedule for yourself and stick to it. Like I mentioned before, blogging is a marathon, not a sprint and it takes time to grow. Anyone who tells you otherwise is lying or trying to sell you something. Are you OK with being vulnerable? When I first started blogging it took me a week to write my first posts. The reason it took me so long was that I kept going back and censoring my post from its original content. Mostly I was afraid of offending someone. I kept thinking “what if they leave a negative comment on my site? It took me a few months to stop being so hard on myself. After all, this is my blog, I own it, and therefore I am allowed to talk about whatever I want. If someone has something negative to say, so what? Besides, aren’t I trying to start a dialog for nurse moms? Vulnerability can be powerful for a new blogger. Once you decide that you are going to be authentic with your writing you actually gain momentum with your messaging. You allow your writing to be more creative and natural. It’s an inspired feeling and your readers will appreciate getting to know you better. For more resources visit my Start A Blog resource page! Here are a few more posts you may be interested in reading! Pinterest Ninja: If you want to understand how Pinterest can grow blog traffic you need this Pinterest Ninja Course. A blogger colleague of mine, Megan Johnson, created Pinterest Ninja to help people increase their blog pages views by the thousands. I did the course when I was on maternity leave and I was able to increase my blog traffic exponentially in just over one month. Seriously, read some of her reviews. Her course is invaluable.